Those figures are both remarkable and somewhat expected. In fact, smart home technology has arguably been the most desired feature and most disruptive trend in real estate in the past five years, and it’s affecting far more than just millennials. The same survey found that roughly 45 percent of Americans were expected to either own smart home technology or invest in it by the end of 2016, 54 percent of homeowners in the market to sell their house would purchase smart home technology to make it go faster, and a stunning 91 percent of those with smart home devices would recommend it to others. Put another way: As the smart home wave crests, it’s quickly sweeping through the real estate industry and poised to become mainstream. So, what exactly is smart home technology, who’s buying this stuff, and how is it affecting the real estate industry? Read on! A “smart” device is any product that’s connected to the Internet that allows you to control, monitor, and automate it from anywhere using your smartphone, tablet, or computer. Programmable thermostats, automated lights, and locks that automatically unlock as you arrive are all examples of smart home technology. These products are connected to you (and to each other) by things like Wi-Fi, Bluetooth, or similar protocols. When a home has enough of these smart devices to form a full network, it’s often called a smart home. One of the main reasons that smart home technology has caught on so quickly is that it’s surprisingly easy to set up connected products in any home or apartment. Things like an automatic garage door opener or a home monitoring system aren’t revolutionary, but they have traditionally involved tricky wiring or installing bulky panels onto your wall. As the technology necessary to produce these devices has become cheaper for companies, smart home technology has become more affordable and reliable for consumers. Today, companies like SimpliSafe, SmartThings, Wink, Nest and others offer a series of easy-to-install sensors, switches, and cameras that allow people to easily monitor and control their homes for just a few hundred dollars. In addition, they’re all portable (allowing homeowners to pack them up and go when they move) and totally customizable. So, if you want to train the same set of sensors to send you an immediate alert if there’s unexpected entry in your home and also when Barkley jumps on the couch, it’s as easy as a few taps on your smartphone. Who is buying this stuff? In short: everyone, but for slightly different reasons. With this expected to become a $130 billion industry by 2020, smart home technology is no longer associated solely with early adopters or tech-minded millennials. In fact, 43 percent of Americans with smart home products are millennials, 33 percent are aged 33-54, and 24 percent are 55 and older. One of the most fascinating figures in that Coldwell survey is that older generations are adopting certain types of smart home tech faster than younger ones. For instance, 40 percent of those over 65 who have smart products own a programmable thermostat, compared to only 25 percent of millennials. And according to a report published by the IoT company Essence, the adoption rate of smart home products among Generation X members is almost double that of millennials – with Generation X members more attracted to products geared toward home security and energy savings, and millennials more attracted to products that provide convenience, such as home entertainment systems. Certain generational preferences exist: home security, lighting, smoke alarms, and home entertainment remain the most popular smart home categories across the board. 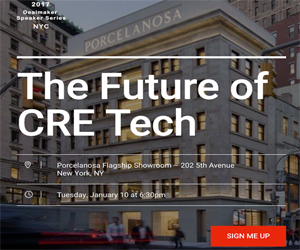 How is smart tech is affecting the real estate industry? Beyond planting a boatload of flowers and cutting your lawn, adding a few smart home products around a home is the single easiest way to increase its value and make it a more desirable listing. Want proof? According to the Consumer Electronics Association and the National Association of Home Builders, installing smart home technology can help homeowners boost the final closing price of their home by 3 to 5 percent. This rise in the resale value of homes is the biggest impact that smart home technology has had in the real estate industry during the past few years, but it’s far from the only one. 66 percent of smart device owners surveyed in the Caldwell study say that they’d leave their Philips Hue bulbs, Nest Cam, SmartThings Hub, August lock, or other portable devices behind if they thought their home would sell faster as a result. This means that connected homes aren’t just adding convenience and security to people’s lives, they’re becoming a highly sought-after tool that can add real, tangible value to a listing and move it off the market quicker. Finally, smart home technology has the ability to change the type of buyers that are potentially interested in a home. From millennials attracted to things like connected speakers, TVs, and colored lighting to older homebuyers more interested in security and energy savings, one statistic from the survey is hard to ignore: 81 percent of current smart-home device owners say they would be more willing to buy a home with connected tech in place. Smart homes are here to stay. As connected devices become less of an emerging trend and more of a mainstream staple, it’s becoming more and more important for real estate agents to not only highlight the many benefits of creating a safer, smarter home, but also to anticipate their clients’ needs. Those that do so will set themselves up to be in a unique position to capitalize.